A gorgeous way to add tree décor and bright light without cords or fuss. 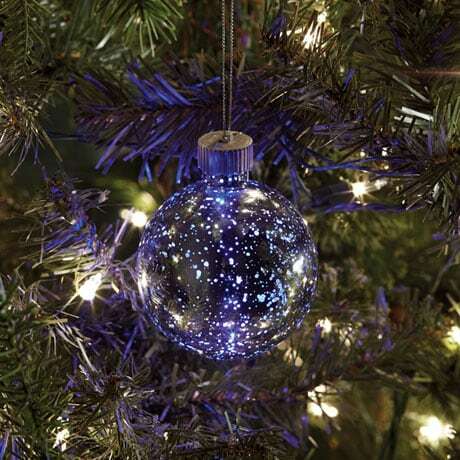 A color-shifting, longlasting LED is inside this lovely glass ornament, treated with an antique silver-mercury finish for a gorgeous reflective effect. The light-up LED ornament shifts from red to green to blue to purple; you'll love how it transforms your tree into a winter wonder through cordless holiday light. Large is 4" diameter. Small is 3".